Staff at University Corporation for Atmospheric Research (UCAR) collaborate on climate science storybook for the Elementary GLOBE series. In a new illustrated storybook, a group of school children travel with a scientist to Greenland and the Maldives to learn about tools used to study climate change and its impacts. After seeing the challenge of melting glaciers and rising seas, the students return with ideas of how to reduce their own greenhouse emissions. What in the World is Happening to Our Climate? introduces new material to a series of children's adventure science books published by Elementary GLOBE (part of the Global Learning and Observations to Benefit the Environment program). The newest storybook, funded by NASA Langley Research Center, is the product of a partnership between staff in two University Corporation for Atmospheric Research programs: the GLOBE Implementation Office and the UCAR Center for Science Education, or SciEd. SciEd supports the education and outreach efforts of the National Center for Atmospheric Research (NCAR), which UCAR manages with sponsorship by the US National Science Foundation (NSF). The climate book is available for download at no charge. Becca Hatheway, SciEd's manager of teaching and learning, said NASA asked UCAR a couple of years ago to create educational resources for children in advance of the installation of the Sage III instrument on the International Space Station to measure ozone and aerosols in Earth’s atmosphere. (Sage III was installed last month). The result was What's Up in the Atmosphere: Exploring Colors in the Sky, a storybook featuring children who learn about the colors of the sky and their relationship to air quality through observations and photos. Hatheway and Kerry Zarlengo, a former elementary school teacher and literacy coach, wrote the book in 2015. During discussions about the air quality project, "we pitched the idea of doing a climate change book as well, and NASA was supportive," Hatheway says. "We've always wanted to do one on this topic — it's in the NCAR wheelhouse." 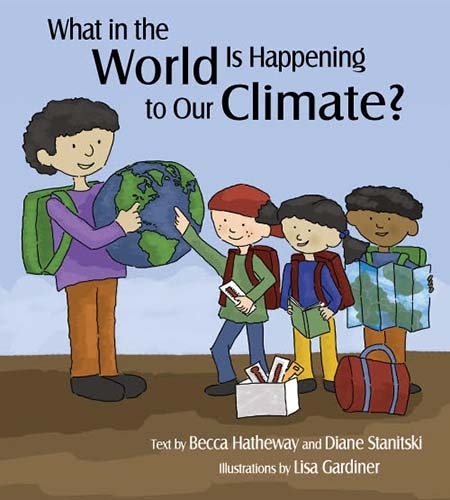 Hatheway co-wrote the text for the climate book with Diane Stanitski, a deputy director at the National Oceanic and Atmospheric Administration's (NOAA) Earth System Research Laboratory in Boulder. The Elementary GLOBE series, which now numbers seven storybooks, is aimed at introducing K-4 students to Earth system science. 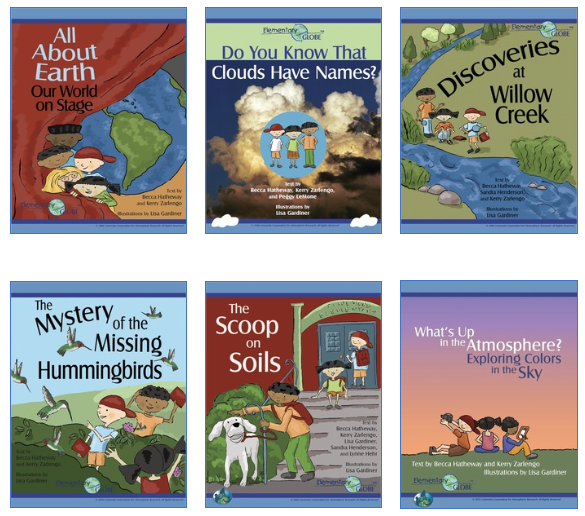 The first five books focus on clouds, water, phenology, soils, and the Earth system. NASA is funding an update of those books, some of which are more than a decade old. Books are field tested by teachers, and the modules come with learning activities and a teacher's guide and glossary. The idea is that younger children will be guided in the reading and activities, while older children can learn more independently. 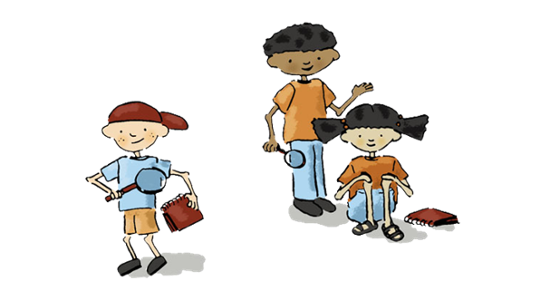 Most of the storylines focus on a group of school children who go on adventures to learn and collect data about a topic. Lisa Gardiner, whose role at UCAR includes developing educational resources, has illustrated all of the books in the series. She said the climate book holds special meaning for her. "It's at the root of what we do at SciEd," Gardiner says. "A lot of young kids want to know about climate change, but there aren't that many resources for their age group." Gardiner said she tries to make her illustrations as realistic as possible. To learn more about the Maldives, Gardiner asked Alison Rockwell of NCAR's Earth Observing Laboratory for photos from a field campaign several years ago. "I wanted to know what the houses looked like, what the people were wearing." The activities are realistic, too. The climate book's activities include building a model of a coastal community, predicting which features would be at risk of flooding, and then "flooding" the model to see the results. Julie Malmberg, a GLOBE project manager, said the storybooks and learning activities can be downloaded for free, or educators can purchase a hard copy of the entire module for the cost of the printing and binding. She has heard from school officials, such as one in a West Virginia district, using the resources for grade-school teacher training. Do You Know Clouds Have Names, co-authored with NCAR Senior Scientist Emerita Peggy LeMone, is the most popular storybook, while the most popular learning activities are connected to a book called The Scoop on Soils. 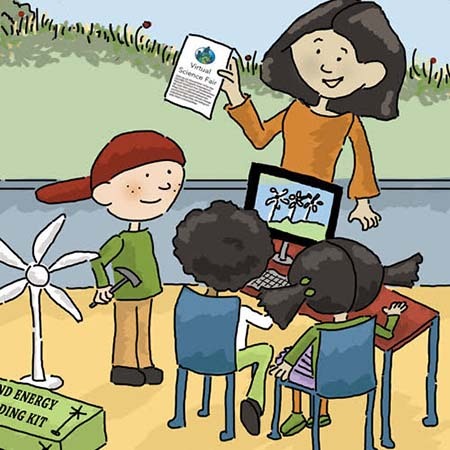 Hatheway says SciEd plans to provide copies of the climate change and sky color books to teachers who attend its professional development workshops or programs at the Mesa Lab, as well as at conferences SciEd staffers attend. NOAA plans to distribute the climate book at the National Science Teachers Association conference this spring. Read the original article on the UCAR/NCAR website here. The GLOBE Program is an international science and education program that provides students and the public worldwide with the opportunity to participate in the scientific process and contribute to understanding of the Earth system and global environment.